Call a Tennis Center. Call a tennis center to check court availability. Reservation can be made two (2) days in advance; five (5) days for player card holders. Pay the court cost on arrival to the center. Find more center information here. In Person. While visiting a center, you can make reservations with the front desk personnel up to 2 days in advance; 5 days for card holders. Online. Only player card holders can make online reservations after completing a user profile to log in. Junior Player Walk-Ins. Junior players can play on available outdoor or indoor courts without reservations in one-hour sessions. Reserved courts for juniors incur court fees. Adults playing with a junior must pay half the court costs. Paid players take priority. The court rates listed are for standard court rentals. Courts for Permanent Court Time Contracts are discounted $2 per court. Cancellation Policy-Cancellation of court reservations must be made 8 hours in advance or half the court cost is due as a penalty. Junior Walk-On Court Policy– Any junior may play on an open outdoor or indoor court without a reservation, free of charge. If other juniors are waiting, please limit time to one hour. If at any time a patron pays for the court, the junior will be bumped from the court. Open Courts are courts that are not currently reserved for junior programming and that are free from players. Check with desk staff to confirm courts are not reserved for junior programs.  If you have any questions regarding this policy, please contact Operations Manager, Diane Hannifin, email: dhannifin@tennismemphis.org. Prime Time is 9:00 AM-9:00 PM. Non-Prime Time is 7:30 AM-9:00 AM. Rates are the same for court reservations regardless of the time of day.